Naturally enhances the immune system, even though colloidal silver and mild silver proteins have been used as an antibiotic around the world for hundreds of years! In fact they were used way before any federal agencies were even born! 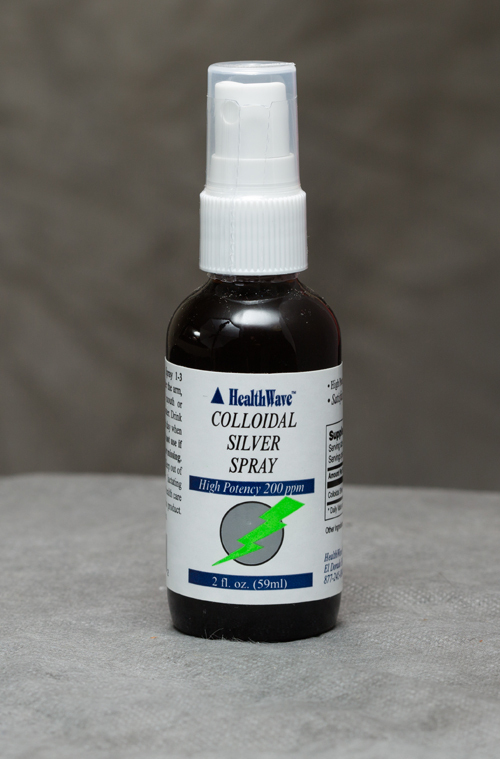 HealthWave Colloidal Silver™ Drops and Spray are a strong, convenient, safe, natural, effective and very cost effective way to enhance the Immune System. It is strong because it is processed with a unique Proprietary, Energy Enhancing Scalar Wave Technology. This technology electrically rearranges the molecules into an organized crystalline matrix, making it more effective and beneficial in the body. It is of the highest quality, made with the best Silver available and is produced with the latest Advanced European Colloidal Technology using Current Good Manufacturing Practices. This assures high quality, a small 0.001 micron particle size and uniform suspension. The small 0.001 micron particle size minimizes any chance of Argria or discoloration of the skin. It is an excellent value because one bottle will last a long time. A maintenance dose is 3 drops twice a day for the drops and 1 spray twice a day for the spray. With this dose there are 190 doses in one bottle. The maintenance dose of the HealthWave Colloidal Silver™ Drops is 3 drops directly in the mouth or diluted in water- twice a day. It is best to hold in the mouth for 30 seconds before swallowing. The intensive dose of the drops is 5 drops 4 times a day. The maintenance dose of the HealthWave Colloidal Silver™ Spray is 1 spray directly on the skin, directly in the mouth or diluted in water- twice a day. If in the mouth, it is best to hold in the mouth for 30 seconds before swallowing. The intensive dose of spray is 3 sprays 4 times a day. Colloidal Silver has been used as an antibiotic and preservative since the 1800’s. Colloidal Silver in the literature is mentioned as being effective against over 650 known pathogens. 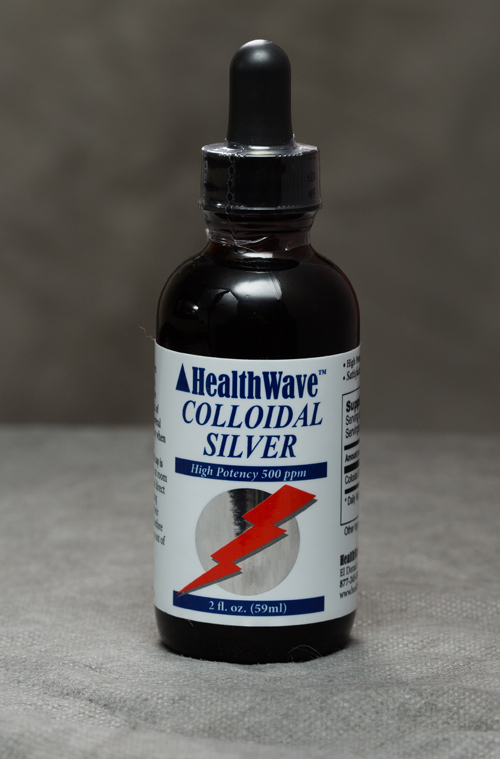 Colloidal Silver, as Silver Protein, was mentioned in the medical literature between 1905 and 1938 as a treatment for many types of infections and diseases. Medical uses of Colloidal Silver, as Silver Protein, were detailed in the 1938 Medical Medicus. Colloidal Silver was originally approved by grandfathering by the FDA as an existing medication and drug, but the FDA later reversed itself. The FDA now allows no health or medical claims to be made for Colloidal Silver. Silver Nitrate drops have routinely been put in baby’s eyes right after birth since the early 1900’s to the present time as a preventative for ocular gonorrhea infection. Silverdene Cream, containing silver, is the pharmaceutical choice to treat burns today. Colloidal Silver appears to be absorbed in the first third of the small intestine, thus not destroying all- the beneficial flora the small intestine and the colon the way pharmaceutical antibiotics do. Intestinal and digestive upset is thus minimized or eliminated. 500 ppm colloidal silver means 500 parts per million or 500mg of silver colloidal particles per 1 liter of water. A colloidal particle is a very small particle in a dissimilar media or solution.